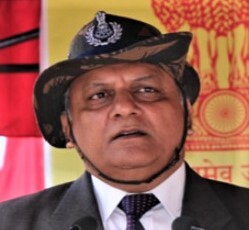 Director of Intelligence Bureau Rajiv Jain in trouble??. In recent developments in the forthcoming elections, a political and bureaucratic heat up is witnessed day by day. Recently, the Election Commission of India has shuffled some heavyweight officers of Andhra Pradesh state in which name of State Intelligence Chief and Chief Secretary were there. This tranfer was criticised by the State Government of Andhra Pradesh and now the State Supremo himself Chandra Baba Naidu enters into the Picture and directly questions the centre and Election Commission that why his Intelligence Chief was removed and why not the Intelligence Bureau Chief, Rajiv Jain IPS removed from the post??. This statement of Chandra Baba Naidu might raise some eyebrows and ignite something serious in the power corridors.